Check out this origami guide and tips which can give you a brief about basic origami for beginners! Origami is the art of making different models using just a square sheet of paper while discouraging the use of adhesives or tapes! Many shapes and models can be made using the origami technique. These techniques are widely used in making DIYs for home-decor or to create handmade gift materials. This art is all about transforming square sized sheets into different shapes. The principles of origami are not so strict and not so lenient, it’s just that you should play carefully with the paper otherwise the end product will not be satisfiable. It’s among one of the foremost art forms which can be made using just a sheet of paper and human efforts! 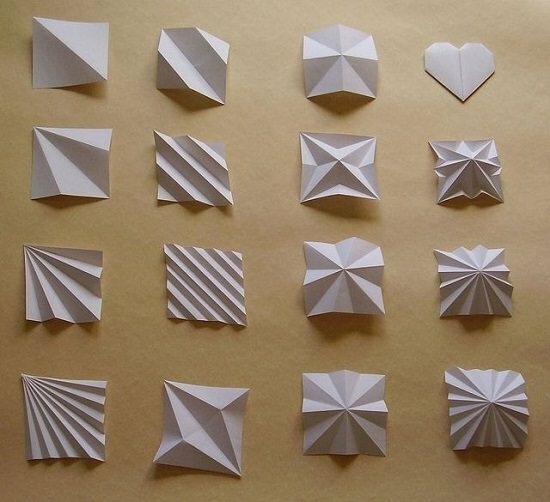 You can find guides to paper folding instructions on the web and if you follow these guides properly, you can create an origami model in just a few minutes! There is an origami list service on the internet that you can explore. To add your name to a list service for origami resources and discussion, choose this site – Learning with Origami. This site contains many links to origami resources including, resources for teachers. The study of origami is easier when you can observe someone do the folds and follow along. One of the best ways to learn origami, and keep it fun, is to watch videos. This way, you not just get the advantage of seeing the folds done with human hands, but you also see them done as if you’re the one holding the paper. You can then emulate precisely what you see and learn the folds easily. It’s important to have full knowledge of the folding techniques of this art because it’s all about folding, after all! It must be able to have the original shape into which it has been folded. Thin paper of around 70g/m2 is generally the best type to start with, and it is exemplary for complex models. The thinner the paper is the easier it is to get neat folds. Thicker papers of around 90 or 100g/m2 are often ultimate for structures that need to be sturdy. It’s ideal for projects that require wet folding! Medium to Large papers of about 14-20cms tends to be the best for beginners because it is easier to get more and more folds out of them. These sized sheets are good for complex models. Whereas, small size sheets of about 7.5cms are better for modular models. Modular models involve lots of individual paper pieces! Smooth origami papers are a lot easier to work with as compared to textured papers! One example of textured paper can be authentic washi paper. We’ll suggest you to use textured papers once you get master at practicing origami folds. Washi paper is great for wet folding, decorations and also to give the impression of fur or skin if you’re making animals. Metallic or shiny origami paper is the most challenging types but they catch the light beautifully! 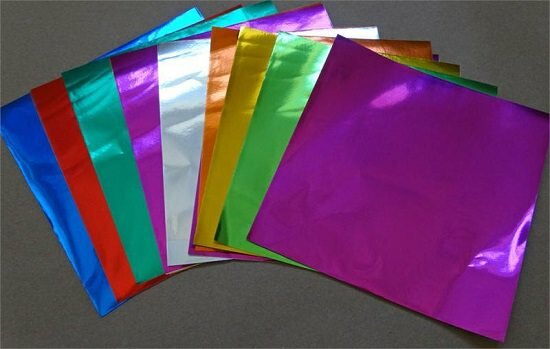 The foil layered papers are quite delicate, that means deep crease can tear the paper apart. Once you master doing folds with foil papers, it’s highly rewarding. As it has the ability to be bent and twisted into different shapes which are impossible with other types. Single-sided origami paper is colored or patterned on just one side and the other side is white. Double-sided paper, which has one color on one side and another color on the reverse. The choice depends on your project. The former is a useful staple while the latter is suitable for creating stylish contrast. Again, your choice of paper depends on your project. To add realism to your models, choose different colors! Also, use patterned papers for boxes, decorations, and more abstract models. We hope this has given you a better idea of how to choose an ideal origami paper. If you would like to buy origami paper online, visit any big online store. This is because they have a wide range of high-quality paper, of all different types, available for worldwide delivery! While there are 26 folding techniques for origami, the two most important techniques include Valley fold and Mountain fold. You can create many models using these mentioned techniques but still there arises a need for learning all the folds in order to master the art! Visit Origami-make to know all the folds in detail. As mentioned earlier, you don’t need anything else than a square sized sheet to start with origami basics as modern origami strongly discourages the use of adhesives in the projects. Since we are here to learn origami from start, you might need ORIGAMI INSTRUCTIONS BOOK. You’ll find both these thing at the nearby craft store or you can order them online! Using origami techniques and tricks, you can create thousands of things ranging from a crane bird to a crane ship! Some of the models are Origami butterfly, Origami airplane, Origami envelope etc.